Post is sponsored by Mederma® however all thoughts and opinions are my own. Since baby Beau has been born my skin has been on a rollercoaster ride of hormones. Thanks to the ever fluctuating hormones of pregnancy, birth, nursing, non-nursing, my body is constantly in flux leaving my skin to bear the brunt of it. While I enjoyed a blissful nine months of hardly any blemishes they are making a comeback now that pregnancy is over. In addition to that, i have dry spots, oily spots, fine lines and a small amount of melasma thanks to pregnancy. My immediate concern was to treat the dry skin because the flaking and irritation was so apparent. 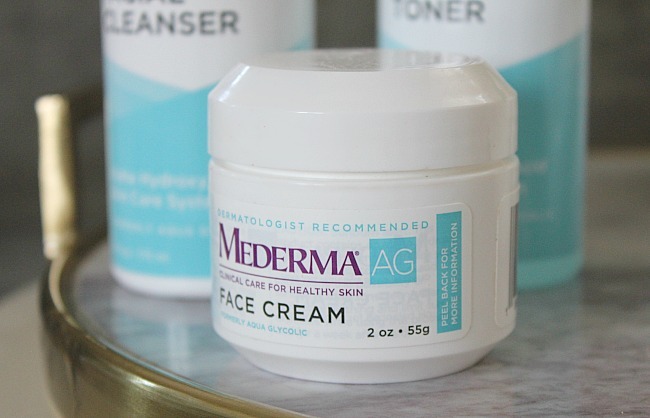 I'm taking a more proactive approach by using the Mederma® AG face care line. 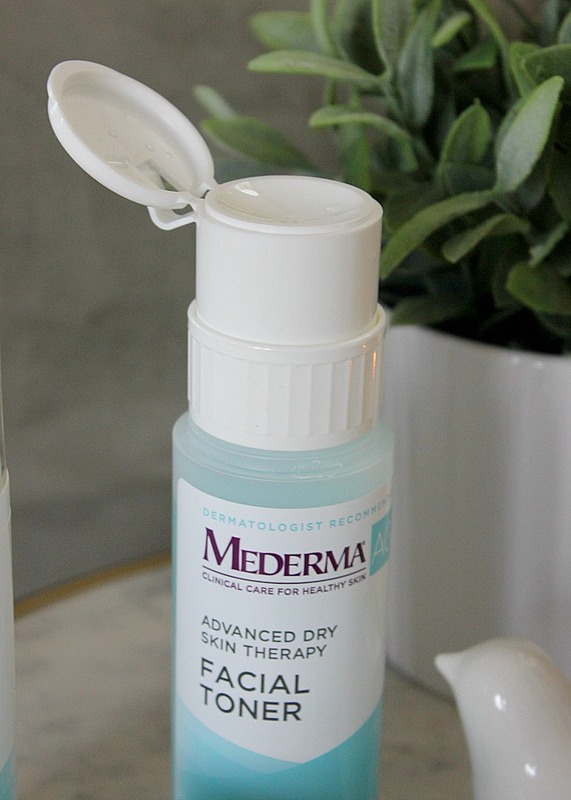 Formulated with Alpha Hydroxy Acid, Mederma® AG combats dry skin, breakout and fine lines with the exfoliating properties of Alpha Hydroxy Acids, specifically Glycolic Acid. Mederma® AG has the ability to tackle almost all skin issues with its gentle yet thorough approach. Glycolic Acid helps to dissolve oils on the surface of your skin as well as exfoliates dead skin cells leaving your skin feeling smoother, and healthier overall. I have been battling a pesky blackhead that seemed to keep getting bigger and bigger. After using Mederma® AG for a couple of weeks I noticed a marked improvement in the appearance of pores. With its three step approach, Mederma® AG helps you look your best while being oh-so-simple. 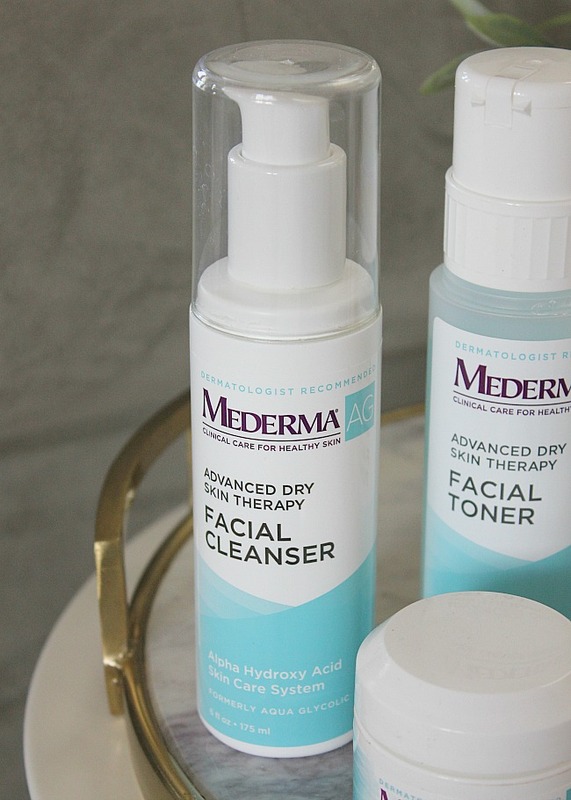 Beginning with the Mederma® AG Facial Cleanser, a soap free facial cleanser that gets your skin clean from dirt, oil and makeup. Use it in the shower or the sink and feel the effective cleaning agents’ gentle pH balance help clean and moisturize your skin. 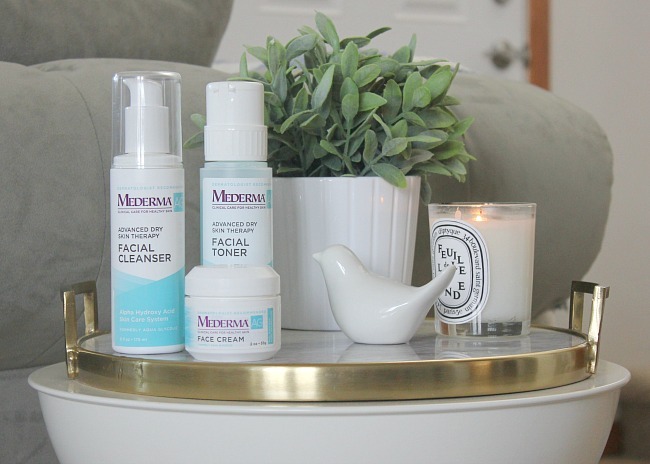 When finished cleaning, you'll use the Mederma® AG Facial Toner. Apply with a cotton swab to your entire face to get the fullest clean possible. The toner helps pick up any impurities your cleanser may have missed. It is also an additional vehicle for applying the anti-aging properties of glycolic acid. Last, you use the Mederma® AG Face Cream. When I use this face cream it feels as though I can feel its ingredients working their magic. It does leave my skin feeling better and moisturized and I can attest to seeing improvements to my skin in just a few weeks. A word to the wise, using a sunscreen daily along with your skincare regime is just plain smart. You wouldn’t want to reverse the progress you are making! Additionally, these Mederma AG® products contain ingredients that can make your skin sensitive to sun exposure so make sure not to miss this important step in your skin care. I am a firm believer that good skincare does not have to cost a fortune and it is not rocket science. Stick to basic, trust-worthy ingredients and use them regularly to see your skin improve. Mederma® AG provides you with a simple total skin care system that leaves you with healthier, younger looking skin with fewer lines and wrinkles. The base price of all three products is extremely reasonable. Find out more information by visiting Amazon.